Ponteland Online News: With little activity on the field local club has been busy off the field. With little activity on the field local club has been busy off the field. 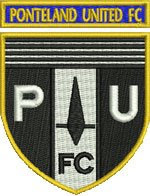 Ponteland United has been granted FA Charter Standard Community Club Status. The FA Charter Standard Community Award is the highest possible award for clubs who are able to continue delivering a high standard of football for boys and girls of all ages and ability. The clubs application for Charter Standard Community Club status has been approved by the FA. This prestigious award is the highest award attainable for clubs at grassroots level and demonstrates that the club meets specified criteria as laid down by the FA for conducting football both on and off the field. Alan Birkinshaw, Chairman of the Senior Club, says "the award recognises the effort and commitment given by circa 30 volunteers in delivering football to the youth of Ponteland and surrounding areas". Colin Bell, Chairman of the Junior Club, says "everyone connected with the club should feel proud of this achievement and waits for the day when the first player from the junior section graduates into the adult team".